CableFree FSO links are used extensively by Formula One racing teams at F1 sporting events as a mobile solution for instant, reliable wireless trackside communications at races worldwide. With exceptional demands for performance and reliability, Formula One teams require best-in-class equipment to support the race teams which have adopted the Cablefree system already download telemetry data from each of their cars as they enter the pits, via a low-bandwidth radio pick-up, usually mounted on the pit wall. The cars typically have whip aerials mounted on the front of the vehicle transmitting the data continuously. CableFree solves the problem for F1 Sporting events with high-capacity, highly reliable wireless solutions with low cost of ownership. 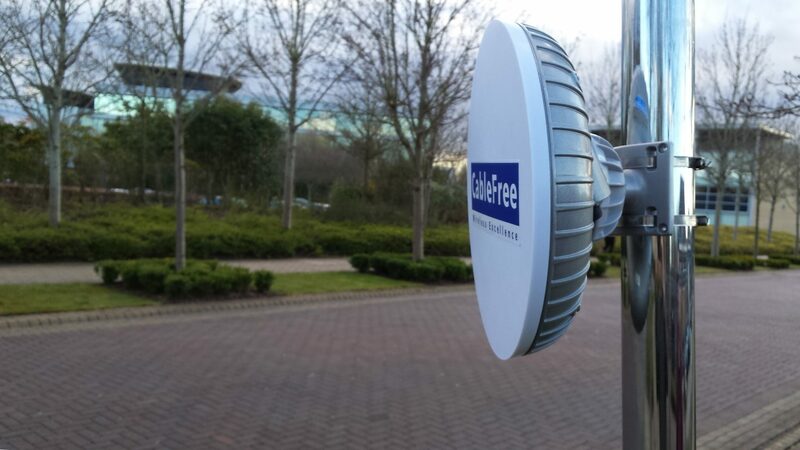 CableFree products offer up to 10 Gigabit capacity throughput and are installed in hours, not weeks.